There are no comments for Grace Hopper, American Computer Scientist. Click here to post the first comment. 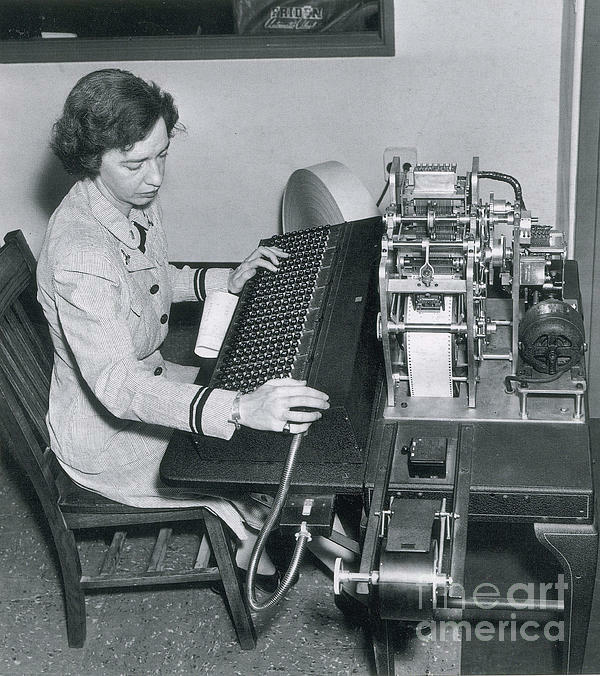 Hopper works on a manual tape punch computer, 1944. 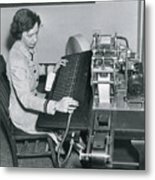 Grace Murray Hopper (December 9, 1906 - January 1, 1992) was an American computer scientist and United States Navy rear admiral. 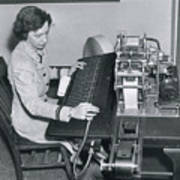 A pioneer in the field, she was one of the first programmers of the Harvard Mark I computer, and invented the first compiler for a computer programming language. 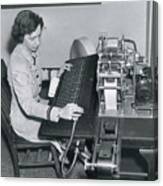 She popularized the idea of machine-independent programming languages, which led to the development of COBOL, one of the first high-level programming languages. She is credited with popularizing the term "debugging" for fixing computer glitches (inspired by an actual moth removed from the computer). She was awarded 40 honorary degrees from universities worldwide during her lifetime. Owing to the breadth of her accomplishments and her naval rank, she is sometimes referred to as "Amazing Grace". She died in in 1992 at the age of 85 and was interred with full military honors in Arlington National Cemetery.